The project names Gooru, Nanoly, and Sanergy are intriguing. The fact these names represent efforts all over the world, from India to Latin America to Africa, peaks curiosity. 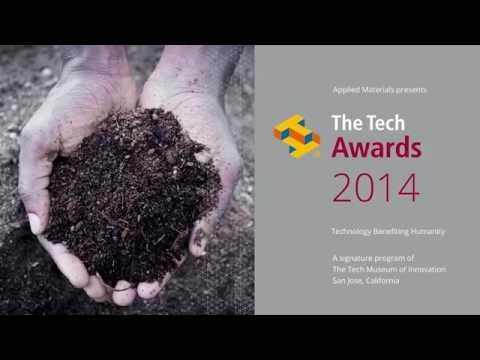 And, the actual work of the 2014 Tech Laureates is absolutely amazing. Gooru is working to support teachers as they transform learning via open source technology. By eliminating the need to refrigerate vaccines, Nanoly is enabling effective and safe delivery of medical care anywhere in the world. In Africa’s informal settlements,Sanergy is focused on making hygienic sanitation affordable and accessible. Today, the Tech Museum of Innovation announced the ten recipients of the Tech Awards, presented by Applied Materials, a global program honoring innovators who use technology to benefit humanity. These incredible Laureates are addressing some of the world’s most critical problems with creativity – in naming their organizations and in designing solutions to improve the way people live. At the 2014 Flash Memory Summit, I participated in a panel discussion led by Jim Handy, a director at the semiconductor market research firm Objective Analysis and a long-time observer of the Flash Memory business. Jim asked my fellow panelists and I the following: Do you think 3D NAND is a disruptive technology for Flash storage? As expected, we all answered the question with a resounding “yes.” The consensus is that 3D NAND will be the most viable storage technology in the years to come, although our opinions were mixed on when that disruption would be evident. Fellow panelist Kevin Kilbuck of Micron is confident that 3D NAND will be the storage technology of the future, but expressed concern about the costs associated with building a 3D NAND fab. He expects 3D NAND architecture to be adopted for 256Gb and beyond, starting in 2016 or later. Interesting perspectives were shared by experts in the Flash memory controller industry. LSI Logic’s Erich Haratsch believes 3D NAND is the most viable memory technology to meet the market’s storage needs for the next five to ten years; other emerging memory technologies (MRAM, for example) are still in their infancy. However, DensBits Technologies’ Hanan Weingarten feels the current costs associated with scaling 3D NAND technology are still too high in light of the incremental improvements in performance it currently provides. Both went on to say that advancements in controller technology are critical. In 3D NAND, cell-to-cell interference is reduced vs. planar NAND. As a result, new controller technology is required to capitalize on such 3D NAND performance benefits. From Applied Materials’ perspective, we are seeing strong customer pull for 3D NAND manufacturing solutions. Our industry is facing an inflection from litho-enabled scaling to materials-enabled scaling. 3D NAND is a prime example of such an inflection. 3D NAND uses charge trap storage technology where SiN film is used to store electrons, as opposed to planar NAND which uses floating gate MOSFET technology where polycrystalline Si film is used. Moving into the third dimension generates extremely complex challenges. Our customers have a critical need for new materials and materials engineering solutions. We are collaborating deeply with them on materials innovation. We have a unique set of technologies and competencies that meet their device performance, yield, and cost requirements for 3D NAND. Our etch and selective materials removal solutions enable >55:1 aspect ratio structures required for multiple generations of 3D devices. Our advanced hard mask solution has 2x higher selectivity to enable such high aspect ratio structures. Our uniform gate stack deposition solution enables >24-pair deposition with precise layer-to-layer control with low stress. These precision materials engineering solutions enable our customers to bring differentiated and cost-effective 3D NAND products to market. Some customers have recently stated they expect cost parity between 32-pair 3D NAND and 16nm planar NAND. As 3D NAND scales to more pairs of gate stack in future generations, the economics and performance will become even more attractive. We’re very excited to see that the first 3D NAND Flash SSDs are now available, and I’m sure by the time Flash Memory Summit 2015 is upon us, 3D NAND Flash will be making great strides as a mainstream memory techology. Visit our web site for more information on next generation NAND. You are currently browsing the Applied Innovation blog archives for September, 2014.